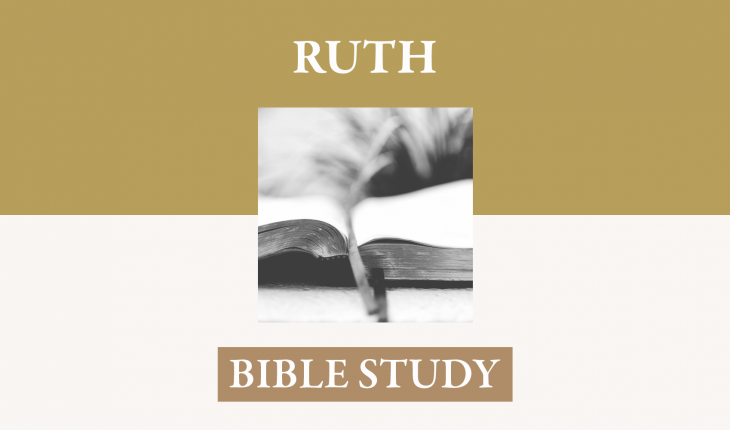 INTRODUCTION: The book of Ruth is all about hesed. Hesed is a Hebrew word often translated as “love,” “mercy,” “lovingkindness,” or “faithfulness.” It is stated to be an attribute of God in two critical passages in Exodus (20:6 and 34:6-7), and subsequently throughout the Old Testament. God’s love, his desire to share his goodness, is expressed to Israel in the form of a covenant. God promised Abraham to give him a multitude of descendants, a land, and to bless all nations through him. God made a covenant with the nation of Israel at Mount Sinai to continue His blessing of Abraham by giving them the land of Israel and blessing them within it as long as they remain faithful to Him. This covenant love is ultimately expressed in the incarnation, death, and resurrection of the Lord Jesus. The concepts of love and faithfulness are closely tied together in the Old Testament and are closely bound together in the word hesed. The two concepts are nearly impossible to separate because they are so closely tied together in the character of God and in his actions in history. When not used to refer to God’s character and actions, the word hesed is still used to express kindness and expressions of faithfulness. 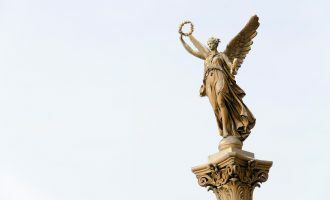 It is used frequently in connection with covenants made between people, where both parties are expected to remain faithful to the terms of the agreement. Hesed is also found among family relations, especially since family connections are viewed in covenantal terms as well. Family commitments ought to be conducted with loving, freely given faithfulness. The book of Ruth brings hesed front and center. In Ruth 1:8, Naomi asks the Lord to show Ruth and Orpah hesed just as they had shown to the dead and to her. Likewise, in 2:20, Naomi confesses that God has not forsaken his hesed. The actions of Ruth and Boaz both express faithful love and are indications that God is working through them to express his own faithful love. This is one of the central themes of the book of Ruth. God is loving and faithful. God’s people should act with love and faithfulness as an expression of God’s lovingkindness. Chapters three and four demonstrate the commitment and sacrifice living out God’s loving faithfulness requires. Both Ruth and Boaz perform acts of selfless love out of faithfulness to God and in return, God pours his blessing upon them by giving them a child—an ancestor of David and of Jesus, no less! The book of Ruth never loses sight of the reality that Ruth is, by birth and background, a Moabite. She was not by birth a part of the covenant community, and Naomi made it clear before leaving Moab that she had no obligation to remain faithful to the family connections she established when she married Naomi’s son. She may not have been born a part of the God’s covenant people, but she made clear to Naomi (1:16-18) that she had every intention of remaining that way, despite the dim prospects of their future together. Ruth’s loving faithfulness shines so much more clearly because it was freely given. She could have gone back to her father’s house. Through chapters 1 and 2, Ruth’s loving faithfulness is expressed in her resolve to willingly become part of Naomi’s family, people, and covenant community and serve Naomi as a beggar in order to provide for the two of them. Her sacrificial service is inspiring, but her lovingkindness does not stop with freely given acts of service. Chapter 3 reveals that Ruth was faithful to the point of making a permanent commitment to belong to Naomi’s family and God’s people. After the warm reception Boaz had given Ruth when the young woman appeared in his field, Naomi recognized an opportunity, not only for herself, but for Ruth as well. “Shouldn’t I seek rest/security for you?” Boaz was a relative. Naomi knew the Lord had put Ruth in the right place at the right time, and so she concocted a plan. The details of the plan sometimes puzzle the modern reader. Ruth was supposed to dress up, head down to the threshing floor, and uncover Boaz’s feet. Some scholars take this further, building off of the ambiguity of a few words here (“uncover” and “feet,” particularly) to argue that Naomi is advising sexual immorality. Nothing could be further from the truth, but the plot does still seem strange. What is clear was that it was threshing time, and when that time came, harvesters would not head back into the walled city for the night. They stayed with the grain in order to protect it. Given the abundance of the harvest, it was also a joyful time. If Ruth was to speak to Boaz about this matter, threshing time was probably a good time (one would think), and she would have to go out to find him. As for the rest of the story, all we can say is that the text is clear that Ruth and Boaz maintained complete propriety. Most importantly, Boaz found Ruth’s faithful love to Naomi and to him to be the most startling development of the evening, not the circumstances of her arrival. What did she do that was so special? She asked that Boaz be her kinsman redeemer. Remember, she did not have to seek a kinsman redeemer at all. She could presumably found another husband back in Moab, but now this was home—among God’s people and in Elimelech’s family. That she would pursue such a course could be motivated by nothing but unselfish, loving commitment, surely not self interest. She showed love to Naomi that found no limit. This is what Boaz referred to by her “first kindness” (verse 10). She asked Boaz to be her kinsman redeemer. To Boaz, this showed something special as well. Apparently Boaz felt floored to be considered by such a fine, godly young woman. Boaz expected her to pursue a younger man, regardless of wealth. He apparently was not particularly young. Ruth, as well as Naomi, seem to have been drawn by more important qualities—his character and his kindness. Not only was Ruth committed to her chosen family member, she showed a willingness to connect herself to a man certainly possessed strong inner qualities, but perhaps lacked some of the outer qualities a young woman would often be drawn to pursue. Faithfulness to God and a desire to show forth and share his love motivates us to seek to bless those around us. That desire to love shows itself to be more than just a passing fancy. God’s committed love calls us to commit ourselves to love others despite their faults and their flaws, their disappointments and discouragements. Ruth’s faithful lovingkindness moved her to actions far beyond what was expected of her. But duty did not move Ruth. Love did. What about Boaz? He had shown himself to be a man of great kindness and faithful trust in God through is generous treatment of Ruth in chapter two. But for many wealthy landowners, generous treatment stops somewhere short of marrying a poor Moabite widow for the sake of a relative who’s experienced hardship. But Boaz was a man of great character and loving faithfulness. How? He was fully appreciative of the love and sacrifice Ruth had shown. He was clearly moved very deeply by the love the young woman had shown, as 3:10 shows. Only a man fully aware of the lovingkindness of God would be moved by such expressions of faithful love. He took the role of kinsman redeemer seriously. This is shown from the fact that 1) he was willing to take on the responsibility himself, and 2) he was conscientious enough to provide one who had a greater legal claim to the role an opportunity to take it (even though it was clear he wanted it. By the way, the role of kinsman redeemer could be refused, as Deuteronomy 25:5-10 make clear). This shows that he loved and feared the Lord at least as much as he desired to marry this impressive young woman. He carried out the business of claiming the kinsman redeemer role with diligence, seriousness, and urgency. Naomi was right (2:18). He didn’t rest until the matter was settled, and settled properly. What should we say about the man who refused the kinsman redeemer right? The fact that we know Boaz’s name and not his tells us what we need to know. Taking on the kinsman redeemer role was a sacrifice, especially if one already had sons. The first son born to the woman would stand to inherit the property that belonged to her first husband. Thus, there was no financial advantage to the family for taking her in. And it might bring trouble at home if one was already married! The other man felt that bringing Ruth in would jeopardize his family situation. Not worth the risk. Boaz didn’t see the situation that way. He was willing to commit himself in the sight of God to fulfilling his responsibility (see 2:13, “as the Lord lives”). Loving commitment is grounded in our understanding of God’s love and his commitment to us. It is, in turn, sacrificial, faithful, and urgently seeking to bring a blessing. As if to punctuate the message of this beautiful book, at the end a son is born, Obed, which means in Hebrew “servant.” Both the name and the timing are significant. He is obed because he serves the function of fulfilling God’s faithful love to Elimelech’s family. The kinsman redeemer has redeemed them from abject servitude and an end to the family line. God has been faithful. The prayer of the elders at the city gate had come true: God had made Ruth’s house like that of Rachael and Leah, who together built Israel. God’s loving faithfulness brings great blessing to those who follow Him faithfully. Consider how you can express God’s loving faithfulness to those around you, with whom God has put you in covenant—fellow believers and family members. How can you show kindness to complete strangers, without any prior commitment or provocation (like Ruth)? God’s love is lavish and it is never ending. We do well to remember that.